Barnard & Westwood has held a Royal Warrant for Printing & Bookbinding by Appointment to Her Majesty The Queen since 1985 and in January 2012, became one of the privileged few to be awarded a second Royal Warrant for Printing by His Royal Highness The Prince of Wales. Since the very beginnings of the Monarchy, the King and court, like any other household have required goods and services ranging from making robes for ceremonial occasions to repairing roofs. Competition for Royal favour was always very intense and the monarch was tasked with picking the country’s most proficient tradespeople. The earliest surviving record of this form of Royal approval dates back to 1155 when King Henry II granted the Weavers’ Company a Royal Charter. 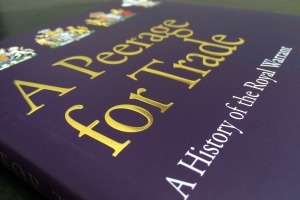 As a result, Royal Warrants are very prestigious marks of recognition that nowadays are awarded, on advice from the Lord Chamberlain, to those who regularly supply goods and services for at least five continuous years to the Royal Household (HM The Queen, HRH The Duke of Edinburgh or HRH The Prince of Wales). 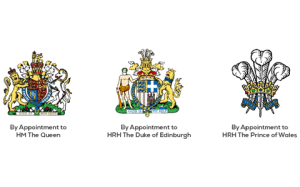 Royal Warrants are granted to named individuals, known as Grantees, who are executive directors or partners and must ensure the Warrant is used correctly. 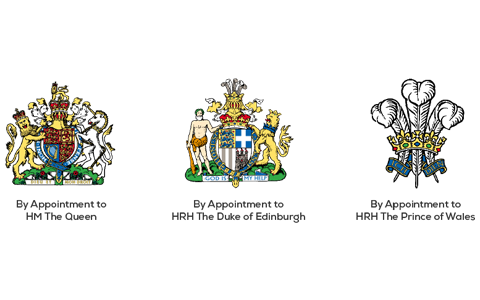 The Royal Warrant Holders Association currently consists of around 800 companies and individuals who hold Royal Warrants covering crafts and services such as printing and bookbinding, through to chimney sweeping and providing groceries. The binding thread for all Warrant Holders is a commitment to the highest of standards, quality and excellence in their fields.